On the 16th January 2018, a theatre group called Tutti Frutti (part of the Theatre York) performed the ‘Ugly Duckling’ for the last time until their World Tour. They then plan to visit Singapore and Hong Kong. 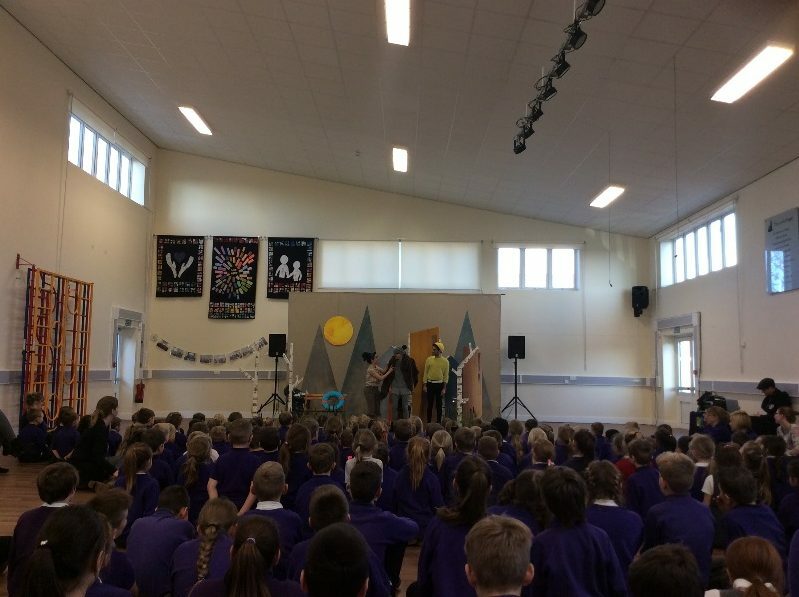 Spalding Parish Church of England Day School were lucky to secure their last UK performance. In October, the show had been performed at the South Holland Centre. There were two performances during the school hours and the final one took place at 2:00 pm and ended at 2:55 pm. The performance only had three actors, yet many roles and they did a fabulous job! The glamourous cast had real skill and talent with some excellent music. They had beautiful props which were used to create the magnificent seasons. They truly delivered the best family production ever. ‘I think they make a great team and will continue to entertain for a long time yet.’ I hope they carry on putting their stamp on the classics. The story has strong links to promote anti-bullying, discourage people being left out or putting up with unkindness. The main plot is about a duckling who is different from his siblings. It feels like no one cares about him apart from Mother Duck. Then a series of animals including: a feline cat, needy dog, a martial artist goose and an awesome swan meet Ugly (the duckling or so he thinks). Ugly goes missing…will he be found? The group has many other plays, but the ‘Ugly Duckling’ has a really strong and important message. It will be a play that will stick in your mind for all the right reasons. I would recommend this to all ages as it will touch everyone’s heart. It is the cast who give it their all (110%). It will be a while until they are back in the UK, but it will be worth the wait.